leading design service and fully comprehensive technical support. 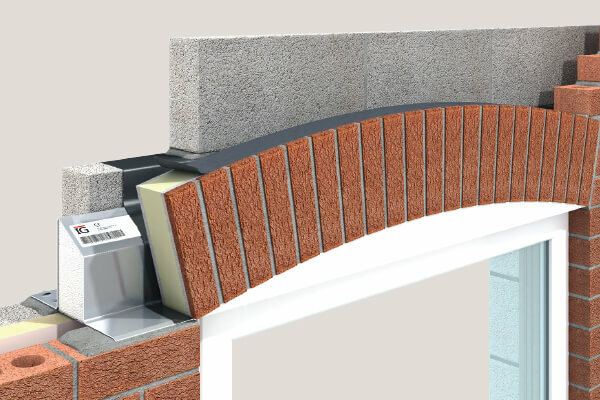 Brick Slip Feature Lintels offer a unique addition to IG’s brickwork support systems. This one piece unit arrives onsite with the bricks, which have been collected from site, bonded to the load bearing lintel. This eliminates the need for a specialist brickwork contractor spending hours onsite, cutting bricks to suit complex brick details. 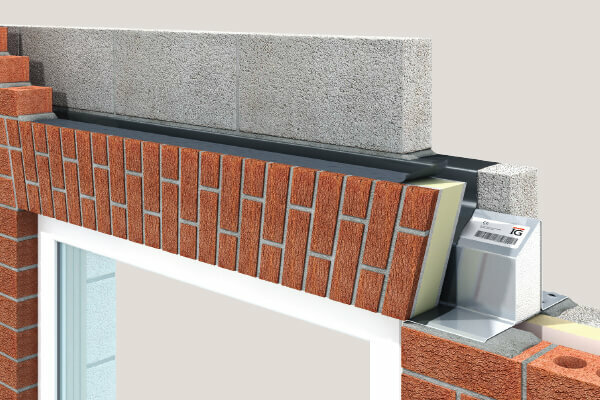 Brick Slip Lightweight Brick Headers are installed on the outer leaf of a standard lintel. These lightweight products are manufactured offsite negating the need for brick cutting or mechanical handling onsite. Bricks are collected from site to ensure that the product blends seamlessly with traditionally laid brickwork. 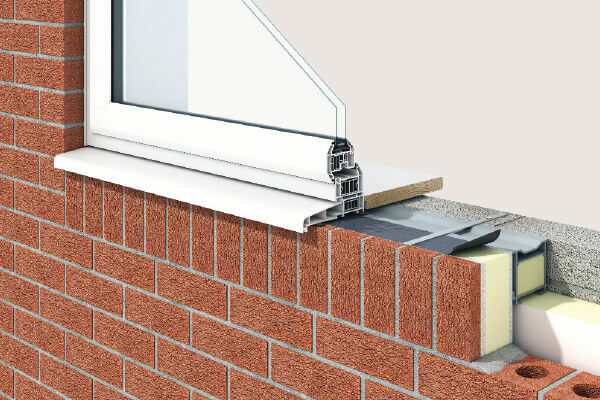 A perfect addition to Brick Slip Lightweight Brick Headers are Lightweight Brick Sills. Manufactured offsite, these sills are positioned underneath the window sill, supported by the wall panel below. Lightweight Brick Sills are delivered to site with bricks bonded ready for final pointing and are tied back to inner leaf blockwork for added stability. An IG Gothic Arch BSFL is a modified Gothic Arch Lintel with a box section on the outer leaf. The lintel is insulated in the cavity and spans from inner to outer leaf. This design can incorporate 1 brick, 1½ brick or a 2 brick soldier course along with stone. An IG Parabolic Arch BSFL is a modified Parabolic Arch Lintel with a box section on the outer leaf. The lintel is insulated in the cavity and spans from inner to outer leaf. This design can incorporate 1 brick, 1½ brick or a 2 brick soldier course. 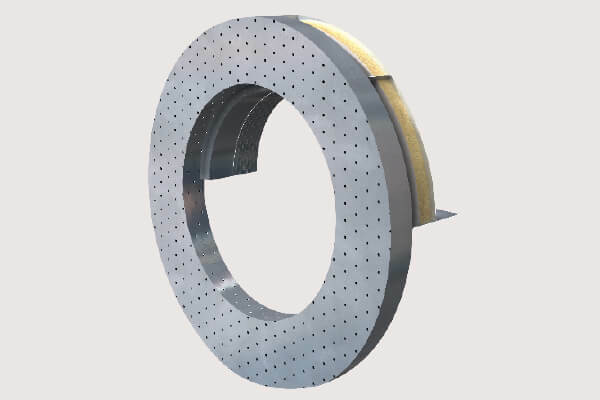 An IG Bullseye BSFL is a modified arch lintel with a circular box section on the outer leaf. An IG Apex BSFL is a Special Apex Lintel with a box section on the outer leaf. The lintel is insulated in the cavity and spans from inner to outer leaf. 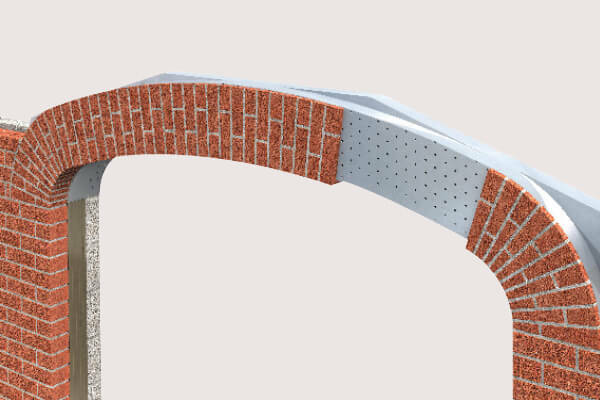 An IG cavity wall Segmental Arch BSFL is a modified Segmental Arch Lintel with a box section on the outer leaf. The lintel is insulated in the cavity and spans from inner to outer leaf. An IG Semi Circular Arch BSFL is a modified Semi Circular Arch Lintel with a box section on the outer leaf. The lintel is insulated in the cavity and spans from inner to outer leaf. 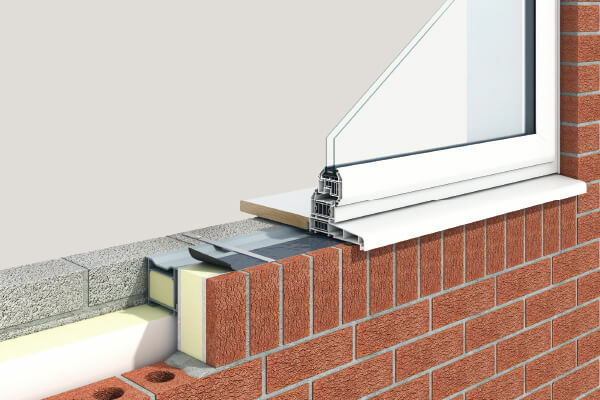 An IG Flat Arch BSFL comprises of a standard cavity wall lintel and a modified box section that allows brick to be fixed to the front face. 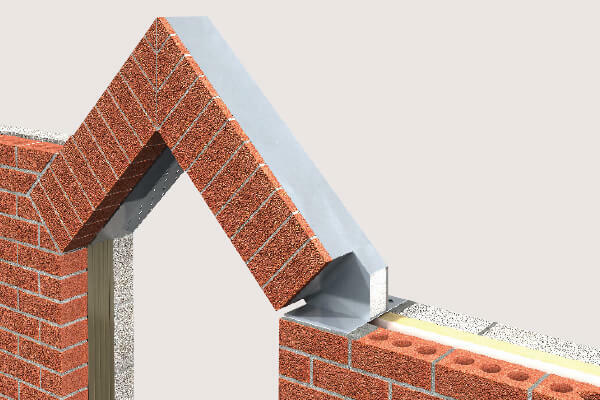 This design can incorporate 1 brick, 1½ brick or a 2 brick soldier course and optional return soffit. 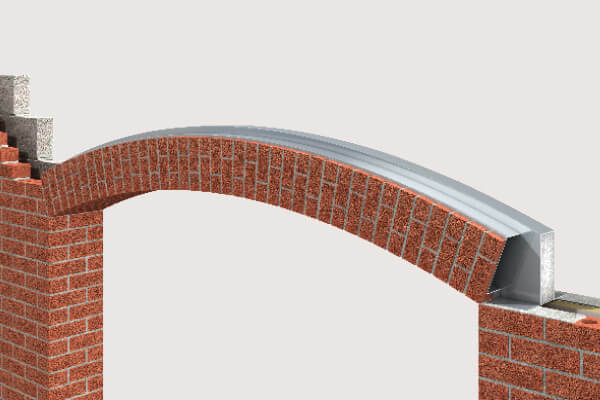 This design can incorporate 1 brick, 1½ brick or a 2 brick soldier course and optional return soffit. 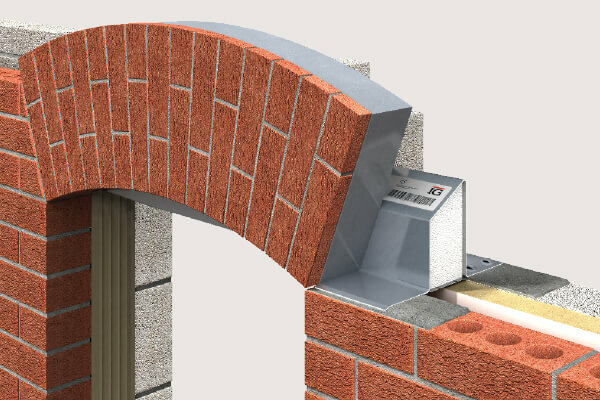 An IG Segmental Arch Brick Slip Feature Lintel comprises of a standard profile lintel with a steel box frame on the outer flange. The lintel is insulated in the cavity and spans from inner to outer leaf. This design can incorporate 1 brick, 1½ brick or a 2 brick soldier course (optional return soffit). 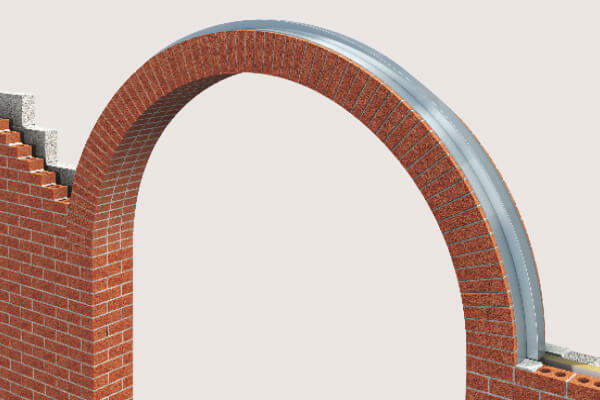 An IG Segmental Arch Brick Slip Feature Lintel comprises of a single leaf curved box section. This design can incorporate 1 brick, 1½ brick or a 2 brick soldier course (optional return soffit). An IG Flat Gauge Header is installed above a standard cavity lintel, without compromising the structural support of the brickwork above. This design can incorporate 1 brick, 1½ brick or a 2 brick soldier course. 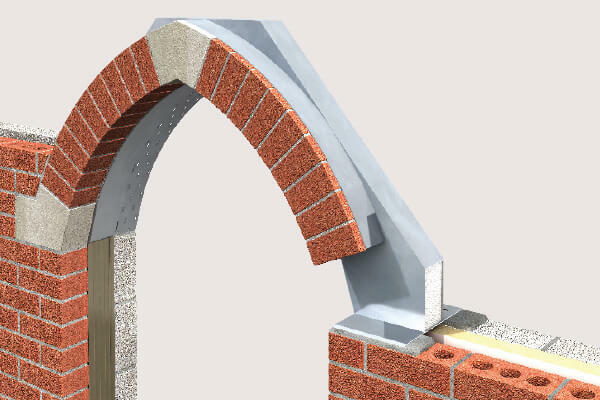 The IG Segmental Arch Header is installed above a standard cavity lintel, without compromising the structural support of the brickwork above. This design can incorporate 1 brick, 1½ brick or a 2 brick soldier course. IG’s prefabricated, Lightweight Brick Sills are manufactured offsite and delivered complete with bricks bonded for final pointing. To ensure continuity of the precision cut bricks, IG collects a consignment of brick being used onsite. IG Lightweight Brick Headers are one piece prefabricated units, manufactured offsite for quick and easy installation. IG Lightweight Headers and Sills benefit from the quality associated with offsite manufacturing.